Boat Wash ‘n’ Shine is a professional strength boat wash. Use regularly to remove salt, light oxidation and general scum and grime. Boat Wash ‘n’ Shine is a professional strength boat wash. Use regularly to remove salt, light oxidation and general scum and grime. 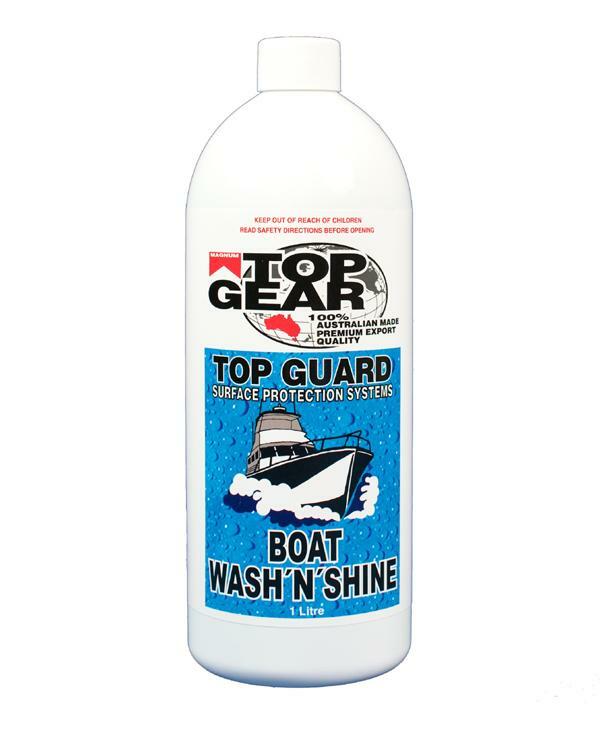 Top Gear Boat Wash ‘n’ Shine will leave a long lasting shine to preserve and protect you investment. To keep the lasting protection you should use Top Gear Diamond Glaze every time you've washed you vessel. Can be applied with the Venturi Applicator Spray.